The 2017 ranking of Fortune 500 companies included 32 female chiefs, which means, a mere 6.4% of women run the most influential companies of the world. The ongoing discussion on gender diversity in leadership has several facets: development, retention and advancement of female talent in the workforce. There is one facet which is not widely discussed, that is the personal journey of finding the leader within yourself. This article aims to elaborate on this particular facet with crowdsourced insights from 8 Indian female professionals. Over the years that I have been in the workforce, I have learned through personal experiences and observations that in the professional setting, successful leadership is generally associated with stereotypically masculine values such as dominance and assertiveness, and so the quintessential workplace is unable to embrace female leaders because they don’t naturally exhibit these gender norms. As I introspect about the kind of leader I aspire to become, I realize that I am uncomfortable embracing these masculine values blindly as they don’t come naturally to me. I am aware that I need to channelize my intrinsic values and strengths to become a believable and sustainable leader. With this thought in mind, I went on a quest to learn from successful female professionals in my own network on how women can channelize the inner leader within themselves. The learnings from this experience are elaborate below. A common theme that surfaced from the sharings within my network was that to be successful, women need to be true to themselves and embrace their feminine values. Women are naturally emotional and that is often demonstrated as a weakness at the workplace. “At the very beginning of my career, I was told by one of my managers that I needed be more like a man to succeed”, shared Shilpa Vaid, Chief Human Resources Officer at Arvind Lifestyle Brands. Instead, Shilpa channelized her emotional nature and made it her professional strength. She articulated it simply as “I use my emotions to connect to people and build trustful relations”. In today’s volatile, complex and ambiguous workplace; emotional intelligence and intuition can be cultivated as a competitive edge to navigate uncertainty, identify red flags, empathise with and motivate employees. Another women utilizing her EQ at the workplace, is my mother and role-model, Vijay Chadha. An award-winning educationist for 30 years and a Director of an international school, she uses her motherly instincts and emotional intelligence to connect with employees and manage conflict in the workplace. In Indian society, women are conditioned from a young age to be good students, daughters, sisters, partners and mothers. A central focus on our upbringing is on serving others and making our family and friends happy. We are constantly seeking validation from the people around us. Self-doubt comes with the territory. We are conscious about upsetting people and not being ‘liked’. This can be a severe limiting factor at the workplace. 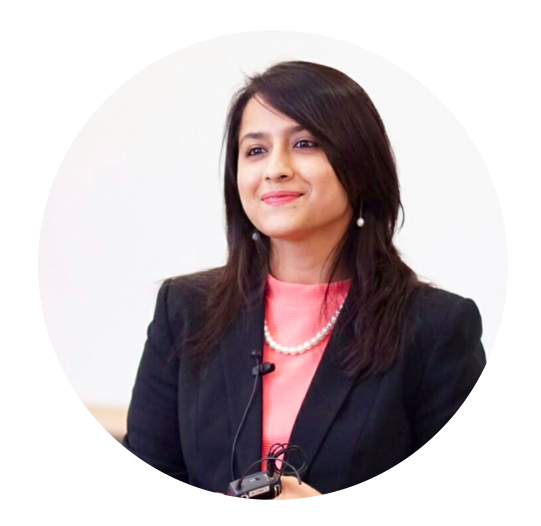 “We need to stop doubting ourselves and go out there and just be who we are”, shared Chehak Kumar, my sister and Head of Business Planning at abof.com. “Women need to stop worrying about any image that they need to portray. Being a strong personality is not a disadvantage but an asset in today’s workplace.” I heard similar sentiments from other women. Alpha Baid, Consultant at Strategi Investment Banking Consulting shared that “Women are constantly looking for validation from others, constantly believing that we probably don’t have enough experience to do certain things. This is one of the biggest self-limiting factors. I tell myself everyday to believe in myself because I know I am an equal and I can achieve anything I set my heart to do”. I can confirm from my own journey that letting go of self-limiting beliefs takes time and emotional conditioning, but also liberates women from angst and fears that can be a hindrance to success. Rima Shetty, Creative and Producer, articulates it simply yet profoundly, “It’s okay to make mistakes and you really can’t please everyone. This is a lesson I have unlearned and learned many times in my career”. Going hand-in-hand with letting go of self-limiting beliefs, is dreaming big and holding on to ambitious goals. Traditionally, ambition in a women is considered a negative trait, however, many women shared that the deep-burning desire to be successful fuelled their drive to keep working towards their life’s goal. On this aspect, there are additional takeaways. The first is to resist being defined by a role or seniority at the workplace and the second is to always speak your mind. Women tend to hold back their thoughts and opinions, whereas sharing valuable insights can enable both the business situation and their own professional journey. To conclude, leadership is a private journey of transformation. The conversations with an employee, the hard decisions at a meeting, the thoughts in bed late at night, they all shape us to become better leaders. Through it all, it is important for women to embrace their genuine self, be humble, be comfortable with ambiguity and accept that everything cannot be perfect. Are you a women on a journey to find her own leadership style? Are you a man who can share from his own professional experiences? Do you know a woman who is on her way to becoming a boss lady? I would love to hear from you in the comments section below. Thank you for reading.